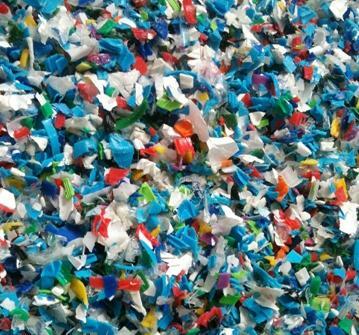 Tranpsparent PET flakes are the main product of the recycling line. 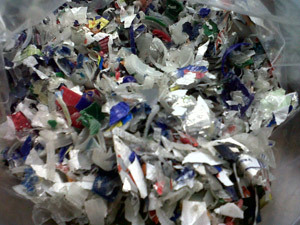 Color PET flakes are produced, when there is sufficient quantity of colored bottles sorted out at the Sorting Station. Excluding color, their specifications are identical to those of transparent PET flakes. PET fines are smaller PET flakes, which are collected at the dewatering station. The specifications of this product, excluding moisture and size, are identical to those of PET flakes. 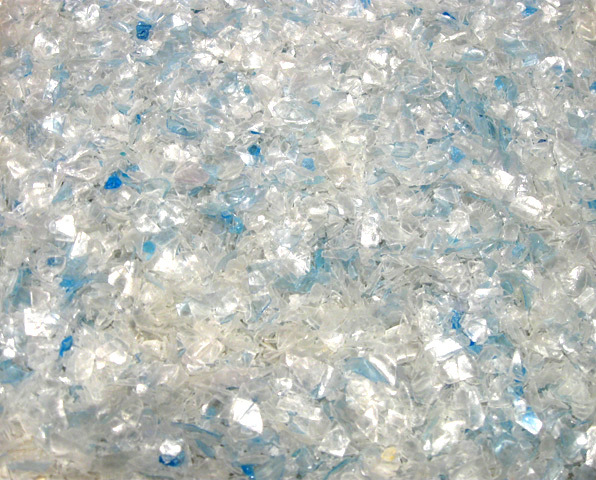 These flakes are composed of Polyethylene (PE) and initially comprised the caps and labels of PET bottles. 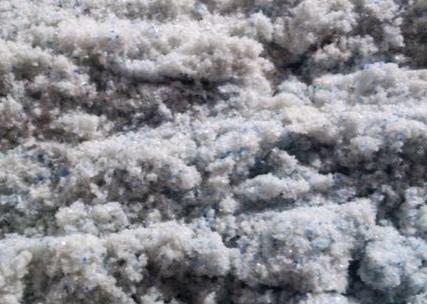 The color flakes are collected at the Gravity Separation Station and have undergone the same cleaning processes of the PET flakes. 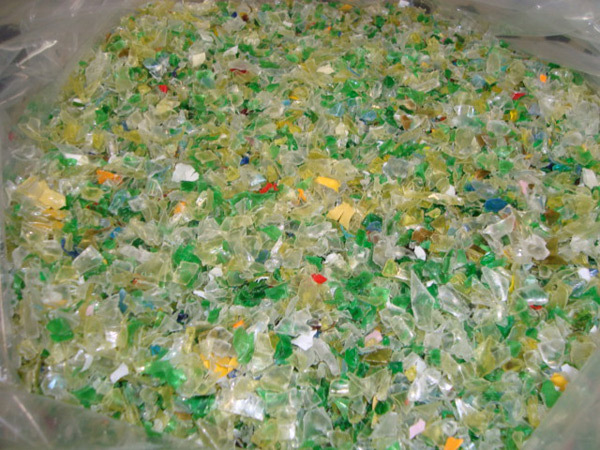 These material (bottles, cups, bins, caps, labels and other types of packing material) are made of Polypropylene (PP) or Polyethylene (PE). They are produced at the Sorting Station or during the first stations of the recycling line, where PET bottles are washed. Thus, these material have not been crushed and maintain their original dimensions.